Recognised As The Termite And Pest Control Experts. An invasion from termites can take a beautiful home and literally destroy it OVERNIGHT! In reality this can be happening slowly and may not be noticed until it has actually caused significant damage to your property. As a matter of fact, 1 in 4 homes experience termites damage which can cause Major Structural Damage to home costing a FORTUNE to repair. And to make it worse, most building policies don’t insure you for Termite Damage, which means you’ll have to wear the cost yourself. 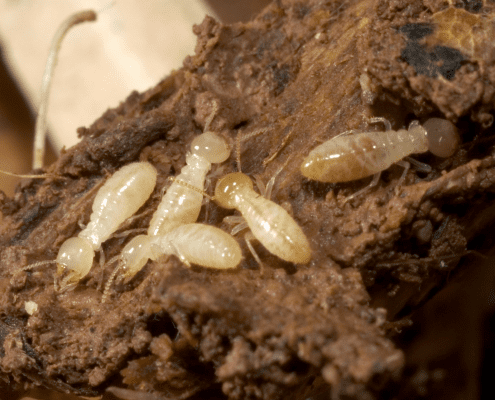 If you suspect you have termites or or are buying or selling your home it’s critical to ensure your most valuable asset is not a home for silent invaders. The Termite Hazard Map below shows the areas that are of highest risk, with the East Coast of QLD showing a Very High Risk. As a responsible home owner, it is recommended to maintain termite control best practices which will protect the value of your home. We have been in business for over 20 years, providing safe and reliable services in Brisbane. 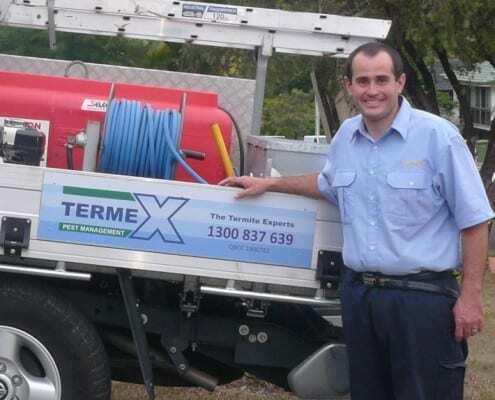 Termex Pest Control Services specialises in termite inspections Brisbane and termite treatments Brisbane using Termidor, HomeGuard & Biflex for pre & post construction termite treatments in Brisbane, Springwood, Mt Gravatt, Gold Coast, Ipswich and the Redlands. Termex treatments are backed up by TimberSure, an underwritten $100,000 timber replacement warranty provided by our insurers Rapid Solutions and underwritten by Pacific International Insurance Ltd, designed to give you the consumer, peace of mind that you are free from the worry of any future financial losses should termites attack your home. We at Termex Pest Control Services understand the importance of protecting the environment whilst carrying out our termite treatments. However, your most valuable asset, your home, or business could be under threat from the environment itself. Some environmental pests like termites (white ants) can structurally damage your property. 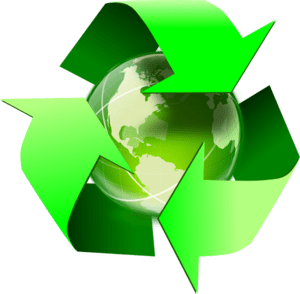 Consequently, Termex Pest Control Services knows that eliminating these environmental pests, requires a delicate balance between protecting the environment, and the health and safety of the people who live or work in it. It’s a job for experts – termite experts. Termex Pest Control Services use termite treatments that works with the environment, not against it. Our licensed operators can advise you of the most effective termite treatment in the Brisbane metropolitan area that will have minimum impact on the environment in which you live or work. We implement a step by step process that allows us to efficiently determine the cause and risks of infestation and recommend actions for managing your pest problems. Our licensed technicians are highly-skilled in identifying signs of infestations and in handling specialised equipment used for termite detection and treatment. We use a proven process designed to Identify, Recommend and Treat your pest issues FAST! Ask us about our Eflex $1Million Warranty available with a complete Termex Termite Barrier. Next don’t unknowingly attract termites by creating a termite haven. Keep the edges of your home free from clutter and remove unnecessary wood such as stacks of timber, stumps, sleepers and logs (these are food sources for termites). Termites are attracted to water and prefer humid conditions, so fix any leaking taps, pipes and drains and keep air under the house dry by improving sub-floor ventilation, drainage and access. If you are doing home improvement or building work, choose timber which has been specifically treated to prevent termites, or timbers which are naturally resistant to termites especially if you are going to use the timber in the ground or close to soil. Termites cannot chew through properly laid concrete, so ensure that your concrete slab is properly designed, compacted, and cured. Regular termite inspections are an important part of termite control as you can identify and treat termites before they do major damage. It is recommended that inspections be carried out at least every 12 months. In warmer areas such as Brisbane, the CSIRO recommends termite inspections twice a year.